Beat the winter blues with this display of colourful and vibrant designer-maker craft. Inspired by the extravagant Carnivals of New Orleans and Brazil, this exhibition includes bright jewellery, vivid ceramics and luxurious textiles. Every piece is handmade by a designer-maker, so bring some colour into your life with a piece of ‘Carnival’! Monoprinting – Using relief printing inks on Perspex you will produce one-off multicolour prints working with found materials, pens, cotton buds and barens/burnishers. Drypoint – Working directly onto a Perspex printing plate you will use mark-making tools to create an etching. Using relief inks you will then print using an etching press. Linocut – Using specialist cutting tools you will be shown how to safely cut lino. You will create a single colour print using relief inks, rollers, barens/burnishers. Collograph – You will carve out your image using craft knives, you can also use found materials to create images/textures that will be printed using an etching press. You will learn all the processes in a supportive environment . All equipment and materials provided as well as tea/coffee and biscuits. The course is for 18+ year olds. This course is suitable for complete beginners or people who have done some printmaking before but want a refresher. You don’t need to have any previous experience as I will guide you through each process step-by-step. All the processes lend themselves well to simple image making using representational images and patterns so do not be put off if you lack confidence when it comes to drawing. Holly O’Meara is a practising printmaker, photographer and film-maker from Birmingham. She uses her photography to inspire her designs and prints, taking her main inspiration from nature, architecture and the world around her. She is the owner of CraftyBun Studio and sells her prints at craft markets, online as well as doing workshops. She has experience working with people of all ages from 8-60+ years old. Materials: All materials are provided. Complimentary hot and cold drinks, biscuits/cakes are available to keep you going. If I can’t attend can I get a refund? We will refund you in full if you cancel no less than 30 days before the start of the course, after which no refunds will be issued. Once booked, you cannot transfer to another course. Colin Wilson is a British photographer based in Derby. His practice is rooted in the still life and his long term projects focus on ‘rhopography’, the depiction of that which is considered insignificant. The simplicity of his compositions allows for a meticulous and expressive examination of carefully selected objects whose forms have immense force. Working on large format film and hand printing each print, his process mirrors the contemplative quality of the images. His work has been exhibited both nationally and internationally, including Belgium, Germany, Hungary and Poland and is held in the corporate collections of Deutsche Leasing AG (European Photography collection) Germany and the Mag Collection (Late C20th Contemporary Art). Six months on from our 2018 Next Wave exhibition, sponsored by Galliard Homes and Apsley House Capital, the next wave curators and associates have come together for this group exhibition. Six months on from our 2018 Next Wave exhibition, sponsored by Galliard Homes and Apsley House Capital, the next wave curators and associates have come together for this group exhibition. This display provides an update on each of the artists and their interesting work. The Next Wave project began in 2014 as an exciting new venture for the RBSA. 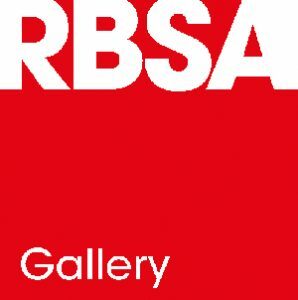 The project aimed to stage an exhibition of work by emerging and early-career artists that would add to the variety of the RBSA Gallery’s exhibition programme. It also aimed to support and promote the exhibitors to help them develop their career in the arts sector. Following the success of Next Wave 2014, the RBSA made it a biennial project so that the aims could be developed and continued. Free associated event: Don’t miss Jain’s print sale event on Saturday 27 April. An exhibition of ceramics and glass by Mel Mars RBSA that includes stoneware, raku fired pots, sui pots and glass pieces. These techniques create interesting textures and colours on the surface of the pots. I concentrate on ceramics in my studio in Broseley, Shropshire, England. This is what I did for twenty years in Bala, Wales after leaving college, and then going to work eventually as a Principal Lecturer in Wolverhampton University. Please feel free to touch my pots! Pick them up, see how the light changes them when held at different angles and feel the textures when you stroke them. Raku – a Japanese style of glazing where the glazed pot is pulled red hot from the kiln and plunged into organic material, giving the individual patterning and colours to the pot. Stoneware – a hard-fired ceramic, particularly used for creating pottery which as well as having sculptural forms, can be used every day, to cook in and serve and eat food. Sui (several coloured layers) – a Japanese method of colouring ceramic, where coloured clay runs through the thickness of the pot, not just on the surface. I am using this depth of colour by carving and cutting into the clay, both before and after firing. The Hockley Flyer - the magazine for The Jewellery Quarter. © Copyright YBA Publications. 2018. All rights reserved.